Locally owned and operated in Tri-Cities, WA, Complete Pest Prevention brings to the marketplace a level of sophistication found in large corporations with the feel of a family owned business. 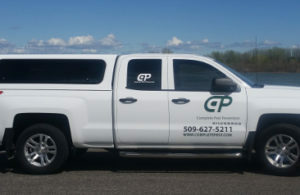 Specializing in providing pest solutions for both residential and commercial property owners and managers, Complete Pest Prevention is quickly becoming the company of choice in Central Washington and Southeast Oregon for both residential and commercial markets. We are committed to protecting the health and property of our clients. 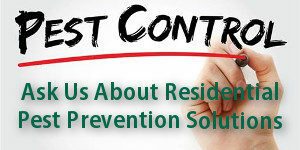 At Complete Pest Prevention, providing a safe home and workplace is our top priority. We take a Least Risk Approach in everything we do, giving us and our clients the peace of mind that our service will be safe and trouble free. Driven by a passion to deliver world-class services, the team at Complete is committed to doing “whatever it takes” to assure complete satisfaction everywhere, every time. Integrity and Honesty in everything we do. No unnecessary treatments or recommendations. The treatment strategies used at Complete are effective and efficient. That means there is no wasted time or materials. Bottom Line: we save you money. Local ownership and leadership means the investment you make at Complete Pest Prevention stays here in your community. Look around and you will see us involved in civic events and volunteering throughout Central Washington. While protecting your health, home and property is critical to us, we are equally committed to protecting our environment. Whenever possible, we will provide a pest solution without the use of chemicals. We extend our pest control services in and around Richland, Kennewick, Pasco, West Richland, Yakima County, Benton County, & Franklin County, Washington.